Can I get real with you for a moment here? Everybody says they want to find success at higher levels in work and life… but not very many people are truly willing to do the freakin’ work. When push comes to shove, most of us will choose comfort over growth. OUCH! Hey, don’t shoot the messenger. It’s true and I’m guilty of it too. So, let’s talk about it. 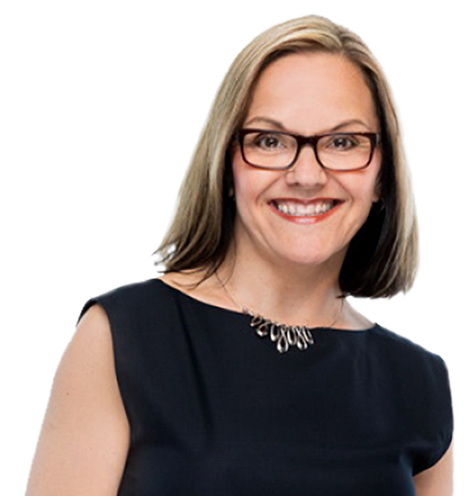 Michelle Cederberg here with your Weekly Work-Life Recharge sharing 2 reasons why you’re not as successful as you could be…and what you can do about it. Watch the video below, or read the blog that follows! I’m currently developing a new program for organizations called The Success-Energy Equation (What it Really Takes to Win at Work and Still Have a Life). As part of program development, I’m researching all the variables that lead to higher levels of work-life success, plus the ones that confound our efforts – what I call success-energy drains. The program will share that info along with my equation for how to get more success in your career without sacrificing health, happiness and equilibrium in your life. Good stuff! Ask me about it if you’re interested! As I dig into the research, I’m uncovering some very interesting truths about success achievement. Truths that made me look more closely at my own habits, and made me realize how often many of us can delay progress because of them. And since awareness is the first step to change, I’m sharing 2 of them with you right now. 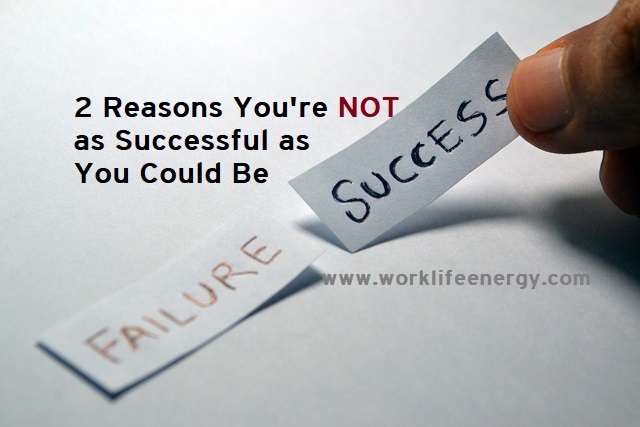 The first reason you’re not as successful as you could be? You’re not willing to get uncomfortable. Every single one of us has the capacity to create great success and fulfillment with work, and be healthy and happy in life. We do. And, the choices that will get us there are available at all times, yet most of us never take them. Because new behaviours are uncomfortable. But growth and comfort cannot co-exist. To reach higher levels, you must be willing to get outside that comfort zone, by reading more and learning, instead of watching TV or playing video games. By eating healthier and moving more even when you don’t want to. By getting up earlier or working at it longer. By doing what you don’t want to do, when you don’t want to do it, because you want the outcome it will bring. The second reason you’re not as successful as you could be? You rely on your willpower alone to get you there. As many at 92% of people who make New Year’s resolutions abandon them before the end of March. Video 1 in my Work-Life Recharge series says more about that. And most people are terrible at achieving goals because they put too much confidence in willpower as a tool. Any goal you set from there will come up against some big barriers. Why? Because your willpower is like a muscle. The more you use it, the more tired it gets, and with all the decisions you make all day long, by the end of a long day your willpower is all dried up. Suddenly, you don’t stand a chance resisting the temptations you’ve been working to avoid…sofa, junk food and TV, instead of exercise, eating healthfully and using your time for more success-oriented pursuits. You haven’t fully determined what you want…you haven’t defined your goal in a way that is truly meaningful and resonant for you. Because once you do, that internal debate of ‘to do or not to do’ will end. My decision to make a video a week was not made lightly. I thought about what I wanted to do, why I wanted to do it, and what it would it would take, and I got excited about it. In my mind, once I’d made the decision, those 53 videos were already complete. And I hadn’t made a single one. Did I mention that this is video 50? Which leads to the second overlooked factor. Once you’ve committed to a goal, it’s essential to change your environment to support success. You can’t simply try to ignore temptations in your current environment, or your willpower will burnout and you’ll be more likely to give in. Want to eat better? Pack healthy food, don’t buy the junk, and avoid places that tempt you. Want to exercise more? Create your plan of when, where and what. Schedule it in. Prepare your exercise gear the night before. When I decided to create a video a week, I had to set a weekly release schedule to hold me accountable, choose topics I was passionate about, and say no to other projects and distractions that would compete with my time. Eliminate potentials barriers. Be proactive about what it takes to be successful. Be willing to get uncomfortable because that’s where all the growth happens. Be willing to clearly define that goal so you can really sink your teeth into it, and then create the conditions that will favour success. More on this topic in the weeks ahead. Watch the video above and the others I’ve suggested, subscribe to my Youtube if you haven’t already, and share this message with anyone who needs more success in their life. Until next time I’m Michelle Cederberg helping you transform how you work and live, one success-energy recharge at a time.